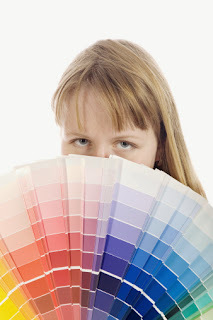 Marketing 101: Color in Print Advertising: Are You Sending Hidden Messages? A printed marketing piece -- whether a brochure, flyer, catalog, or letter -- contains many design components. From margin size to font, use of white space to size and type of paper, the elements that go into a printed piece require much consideration. But when it comes to color, marketers all too often make choices based on personal preference, anecdotal evidence, or even hunches. Color is also key in branding; a University of Maryland study found that using a consistent color palette increased brand recognition by a whopping 80 percent! Why? It's all about brain chemistry; our neurocircuitry is hard-wired to respond to color. Multiple studies indicate that color significantly improves mental processing, storage, and memory. And if you're still not convinced, consider that colorful ads are read 42 percent more often than black-and-white ads. Readers also tend to spend more than twice as long lingering on a colorful ad than on a black-and-white ad. These numbers aren't exactly ambiguous -- color matters (a lot!) when it comes to marketing. But which colors are best? White: As the absence -- or complete reflection -- of all colors, white evokes feelings of purity, simplicity, and cleanliness. It's also associated with happiness and peace.